The Rock The Bells Tour made its stop in Denver on Thursday to a sizeable crowd at the beautiful Red Rocks Amphitheater. I would say I was skeptical about the finalized lineup for the Denver stop; it was missing some of the heavyweights such as Common, Mos Def, and The Roots. Instead we settled for the likes of Chali2na, Tech N9ne, The Knux, Slaughterhouse, not to be undone by the likes of KRS-One, Busta Rhymes, GZA, Big Boi and tour headliners Nas and Damian Marley. Set upon the majestic venue we arrived to catch the tail end set of Chali2na as the crowd began to fill the seats. The crowd seemed as diverse ranging from young hip-hop heads to veteran Rastafarians. Just as diverse as the crowd the next act to take the stage was super group Slaughterhouse whose members include Joell Ortiz, Joe Budden, Crooked I, and Royce da 5’9. This was simply too many emcees on one stage, the set left the crowd deflated just as an incoming 15-minute monsoon hit. In between sets we were treated by some of the finest freestyle emcees in the land none other than Supernatural dropped verse after verse of pure lyrical bliss. With the help of the crowd he fed on the infectious beats the dj was dropping. Next up was one of the true pioneers of hip-hop. KRS-One took to the stage giving us a taste of hip-hop done right in between bantering and chatting it up with the crowd he managed to drop classics such as "Step into a World (Rapture's Delight)", and "Sound of da Police". After taking us down memory lane he introduced the next performer, hailing from Staten Island, influential member of The Wu Tang Clan the GZA stabbed us with a Liquid Sword as he played the classic 1998 album with hits such as “Cold World “, and “Shadowboxin”. After a brief intermission the next group to take the stage brought about the most energized set from the lineup. Apparently this group has a rather large following in Denver. Tech N9ne has been hailed by many for his achievements as an independent artist selling out shows from coast to coast. He was joined by Strange Crew members Krizz Kaliko and Kutt Calhoun as they tore through a set list that had the crowd singing along word for word. It was obvious that many in the crowd came to see Tech N9ne and only Tech N9ne. Next up was an artist that I have been listening to since my senior year in high school, Southernplayalisticadillacmuzik was and until this day is still one of my favorite albums of all time. As one half member of Atlanta group OutKast, Big Boi hit the night time crowd with hits spanning 10+ years. It’s hard to think that OutKast has been around so long and still a staple in the hip-hop world. Word comes from Big Boi that a new OutKast album is on the horizon. The road down memory lane continued as the next artist came to the stage. I first remember hearing this guy as a member of Leaders of The New School, in fact it was his verse on A Tribe Called Quest’s “What’s the Scenario”, that put him on the map, with hits such as "Woo Hah!! 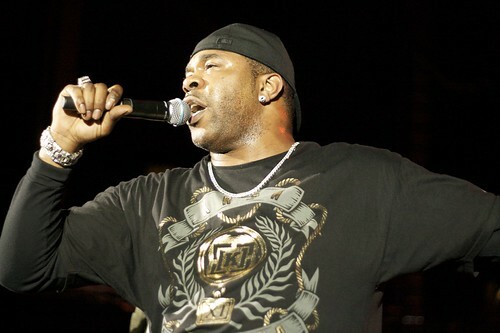 Got You All In Check", and "Break Ya Neck", the Red Rocks crowd went into a frenzy as the one they call Busta Rhymes tore through his short set accompanied by Spliff Star. 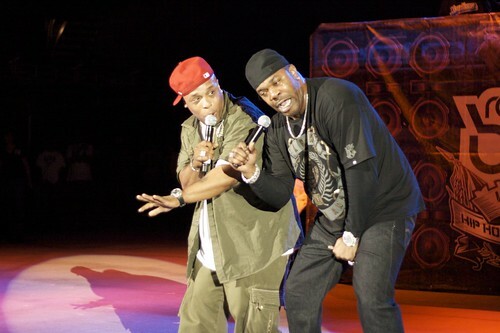 Looking like a seasoned veteran Busta Rhymes managed to toss in some rather raunchy sexual innuendos between songs. As the lights illuminated the rocks of the amphitheater it was finally time for the headliners of the tour. Nas and Damian Marley came together like peanut butter and jelly as they managed to infuse hip-hop and reggae into a single delightful treat. Nas came out first and played a few snippets of some of his well know hits, he then introduced Damian Marley who had a seven-piece backing band to accompany him. He joined Nas on “NY State of Mind” and went on to cover some well know tracks from legendary father Bob Marley. They also gave the crowd a taste of a few songs slated to be on the collaboration album. As another Rock the Bells comes to a conclusion it is apparent that hip-hop is still alive and the Red Rocks crowd enjoyed every minute of it. As KRS-One put it “rap is something we do, hip-hop is something we live”. Unlike other corporate sponsored festivals Rock The Bells continues to focus on music and making sure the crowd absorbs every minute of it. See you again next year…..hopefully we can get an N.W.A. reunion…just maybe. For more pics click here.